NEW YORK — June 3, 2008 — Actor and comedian D.L. 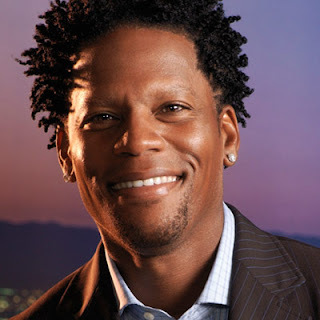 Hughley will take the reins as the host of BET AWARDS ’08. Tagged as “the hottest ticket on television,” BET AWARDS ’08 is raising the stakes as the biggest stars in music, sports and entertainment unite under one roof at Los Angeles’ historic Shrine Auditorium on Tuesday, June 24 at 8:00 p.m.*. Continuing in its landmark tradition, BET AWARDS ’08 will feature LIVE performances by some of today’s hottest artists, including Usher, Lil Wayne and Nelly. Newly announced performers include Alicia Keys, nominated for Best Female R&B, Video of the Year and Viewer's Choice; multiple nominee Kanye West (Best Male Hip Hop Artist, Best Collaboration with T-Pain on the single “Good Life” and Video of the Year for the same); Chris Brown, who has locked in four nominations including Best Male R&B, Viewer's Choice and Best Collaboration with T-Pain on “Kiss Kiss”; and Best Collaboration nominee Young Jeezy. In keeping with the history-making track record of the most highly anticipated night in Black entertainment, BET is pulling out all of the stops in naming this year’s special honorees. Legendary R&B icon Al Green will be in the house to receive BET’s Lifetime Achievement Award. Joining him will be celebrated producer/arranger/composer Quincy Jones, who will be honored with BET’s prestigious Humanitarian Award for his outreach to young African-Americans through the Listen Up Foundation, a charity which connects youth with music, technology and culture. In addition, Jones helped launch the We Are the Future project, giving hope to children in poor and conflict-ridden areas. For the past seven years, the BET AWARDS has boasted unforgettable moments such as Michael Jackson’s surprise appearance during James Brown’s tribute; Rick James in his final duet with Teena Marie; Will Smith presenting Muhammad Ali with the first-ever Humanitarian Award; Prince onstage backing Chaka Khan; Stevie Wonder, Yolanda Adams and India.Arie in a powerhouse tribute to Rufus’ first lady of funk; Destiny’s Child’s steamy lap dance; the reunion of one of hip hop’s most beloved trios, The Fugees; and last year’s touching opening performance with Jennifer Hudson and Jennifer Holliday. BET has once again teamed up with Cossette Productions, the famed producers of the GRAMMY Awards® and the seven record-setting BET AWARDS shows, to handle production of the telecast. Stephen Hill, BET Executive Vice President, Music and Programming, along with Lynne Harris-Taylor, BET Vice President of Specials, will executive produce the telecast. BET AWARDS ’08 will be sponsored by Dodge, Pepsi, Verizon Wireless, General Motors, P&G, Target, CIROC Vodka and Ford. Log onto BET.com for BET On Blast video highlights, photos and continuous BET AWARDS ’08 updates at www.bet.com/betawards.